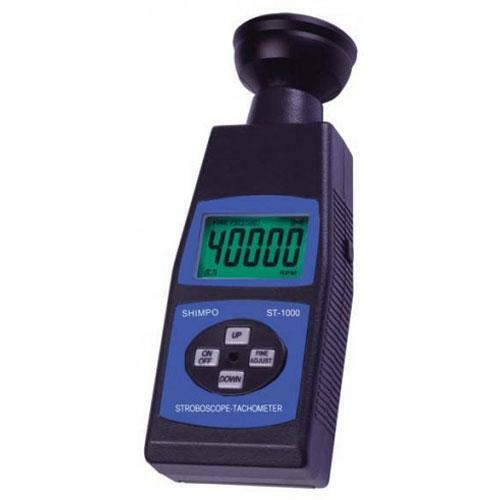 This velocity analyzing and measuring device is ideal for rotational machine inspection. The stroboscope is capable of flashing the light in a synchronous frequency to the operating machinery, creating the illusion of viewing stopped or slowed images. Utilizing this phenomenon of slowing or stopping the motion with the adjusted rate of the ST-1000’s flashing light, machine parts and processes may be inspected for defects. Plus, the rotational speed of the machinery and systems may be recorded for further performance analysis.